Get your STOMP in New York tickets in advance. 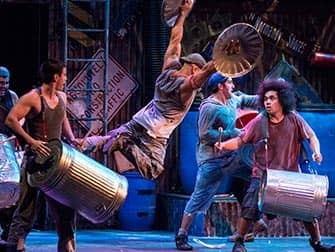 STOMP is an Off-Broadway show in New York. It isn’t a musical, but a great spectacle full of music and dance. Performed at the Orpheum Theater its ideal for groups consisting of people who like to visit a Broadway show, as well as people who don’t like musicals. Music is made with non-traditional instruments, such as buckets, brooms, newspapers and matches. It’s all bursting with energy, the only disadvantage might be your ringing ears after the one and a half hour long show. It’s quite a cacophony, but those who like music, rhythm and dance have come to the right place. STOMP’s cast is besides creative very talented as well. The show, already an enormous success in the entertainment world since 1994, is being performed in a small hall of the Orpheum Theatre. Due to the fact that STOMP isn’t a spoken performance, it’s very suitable for kids who don’t understand English very well yet. Instead of using their voice, the actors use their improvised instruments and their body. All this is topped with a humorous twist. In this show, emphasis is not so much on the story, but all the more on the experience. This makes it a show for all ages as well. This experience is downright overwhelming by the way. You can’t help but wonder about the amount of time these people had to practise, to master this perfect synchrony. But you won’t get a moment to ponder, before you know it they’re starting a new rhythm and you’ll hear a new unexpected ‘instrument’. Since it’s such a popular show, you might have already seen parts of it on television. Still, it’s worth seeing the show live, because the intensity and power you’ll feel there you won’t experience at home in front of your television. The advantage of home viewing though, is that you won’t be bothered by the dust swept into the air by brooms! 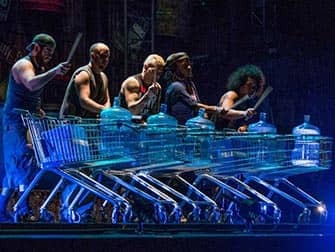 How to buy STOMP in New York Tickets? 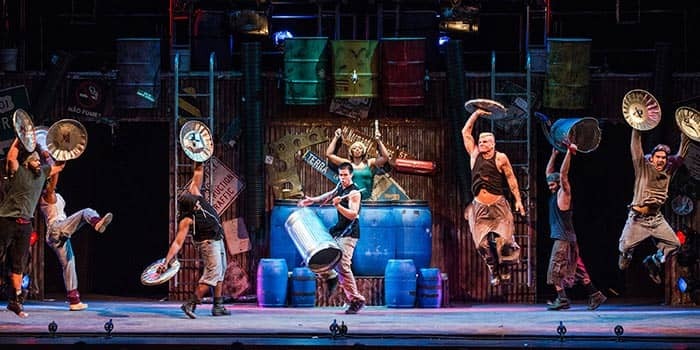 It is easy to buy tickets for STOMP with the link below. I recommend buying tickets online before your trip to New York. Why? You will save time and money and most importantly you don’t have to stress about finding tickets when you are in New York. A lot of Off-Broadway musicals are very popular and are often sold out. Eric’s Tip: I’m going to say it: you really can’t help but STOMP your feet to the rhythm! It’s really incredible to see the performers use all the different props. It’s the perfect ‘musical’ if you want to experience live theatre but don’t like traditional musicals, or don’t want to sit for hours. Go for dinner at the Italian restaurant nearby, San Marzano. The food is good and affordable and it’s only a 1 minute walk from the theatre. Don’t want to see STOMP?